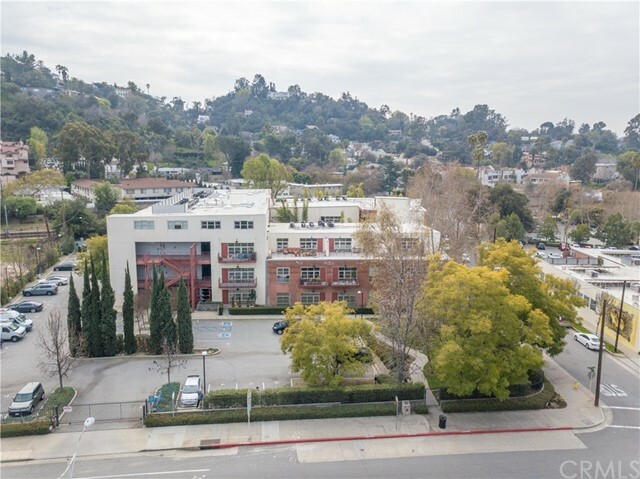 All South Pasadena homes currently listed for sale in South Pasadena as of 04/20/2019 are shown below. You can change the search criteria at any time by pressing the 'Change Search' button below. "Luxurious Custom home with gorgeous valley views nestled in the hills of South Pasadena. Enjoy the evening shade, relaxing tranquility and 180 degree views from one of the three balconies overlooking the San Gabriel Valley. You will appreciate the crown molding, marble and rich wood finishes along with the Spa-like bathrooms that define the elegance this home has to offer. Two exquisitely radiant chandeliers in the dining room and stairwell add sophistication and style. The grand entrance spills into the entertainment level with formal living room, balcony, media/family room and dining room. If informal is more your style, the kitchen and den flow together and create a casual atmosphere on the level below. The Master suite and 3 other bedrooms with laundry are found on the lowest level that is private and serene. This home has 2 finished bonus rooms. ( a 400 sq ft room and a 320 sq ft room.) Home highlights include The media room with LCD projector and large remote screen, Two master suites, a two car garage with Tesla charger, zoned heating and air conditioning, an elevator and alarm system. This home has all you need with today's modern conveniences and is located in one of the most desirable school districts in the LA area - South Pasadena Schools (interior stagging is rendered in some photos)"
"Perched on a hillside in the highly coveted Altos De Monterey Neighborhood, this amazing home has majestic views from every room of either the Angeles Crest mountains to the northeast or Los Angeles to the southwest. A large floor to ceiling brick fireplace enriches the ambiance of the grand open-concept living area with tons of room for large family gatherings, entertaining, and oversize couches. The main level is completed with a custom kitchen and a 1/2 bath with laundry. The interior of the home has been recently painted and the floors have been updated. The windows throughout the entire home are Pella argon filled dual pane energy savers. Upstairs there is a master bed with an on-suite bath and several large closets. 2 more bedrooms upstairs share a recently renovated bathroom. Several cabinets and closets throughout offer tons of storage. Downstairs there is a private bedroom with a separate bath which was recently renovated. Open one of the several glass doors to exit the home onto the huge outside upper patio and you will be surrounded with breathtaking views of the Angeles Crest Mountains. Taking a few steps down a grand concrete staircase brings you to the lower patio area which is perfect for hosting outside parties or setting up a play yard for the kids. A 2 car garage is accessible from outside the home from either the front or backyard. No pool. Award winning school district! Don't miss this rare opportunity to own a home in South Pasadena!" 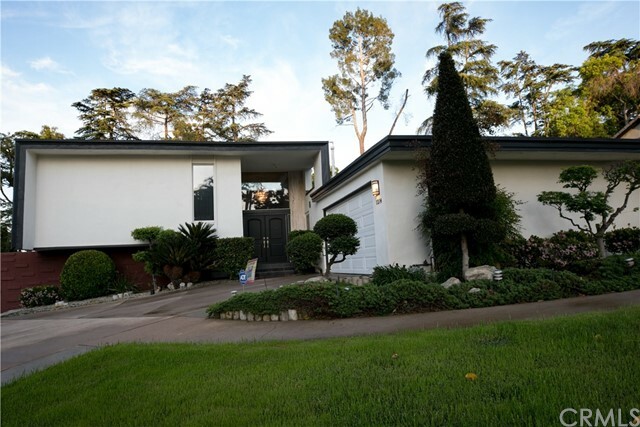 "Located in the prestigious Altos de Rey Monterey area of South Pasadena, this beautiful 4 bedroom, 3 bath Mid-Century modern home offers an open and spacious floor plan filled with natural light. An inviting entryway with 15 foot high ceilings extend into a bright living room with floor-to-ceiling picture window to enjoy hillside views. Patio doors take you to the large, serene backyard with picturesque pine trees and wrap-around patio areas, perfect for entertaining guests. The spacious main level has a dining room and modern gourmet kitchen with large center island, updated cabinets, quartz counter tops, and stainless steel appliances. A large master bedroom suite with double sink vanity, shower and Jacuzzi tub is located with two bedrooms and a full bath. The lower level has a large family room with separate patio door entrance to the backyard, and a fourth bedroom with its own bathroom which can be used as a private guest/mother-in-law suite. 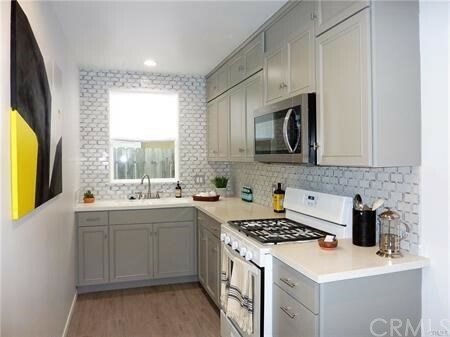 With award winning South Pasadena schools, highly rated Monterey Hills Elementary, and a short walking distance to the renowned South Pasadena Library and the Gold Line Station, it's time to make this your new home!!" 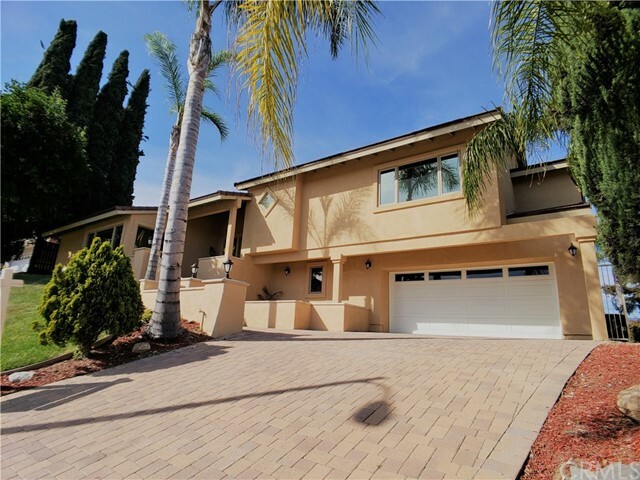 "Rare opportunity to own a large remodeled South Pasadena home with breathtaking views, 3 car garage, in-home office and a detached guest loft that gives this home a total of 4 bedrooms and 4 Bathrooms ( Loft SqFt is not included within the 2017 SqFt). Located away from busy roads this home is nestled within a quiet cul-de-sac. Perfect for entertaining, with large indoor and outdoor living spaces. Friends and family will create everlasting memories as they overlook South Pasadena, the beautiful San Gabriel Mountains and breathtaking 4th of July firework shows within the comfort of your own home. Built-in 1912 this home has gone through numerous safety and comfort upgrades to bring it up to date with modern living expectations, including: Earthquake retrofits, 200 amp electrical service and updated electrical wiring, energy saving wall insulation and dual pane windows, copper plumbing, central air conditioning and heating, large fully remodeled kitchen with Viking stove and refrigerator, newly remodeled bathrooms, recent $100,000+ backyard expansion to create a very private backyard living space and much much more. large 20,247 SqFt lot with plenty of room to garden, entertain & grow. 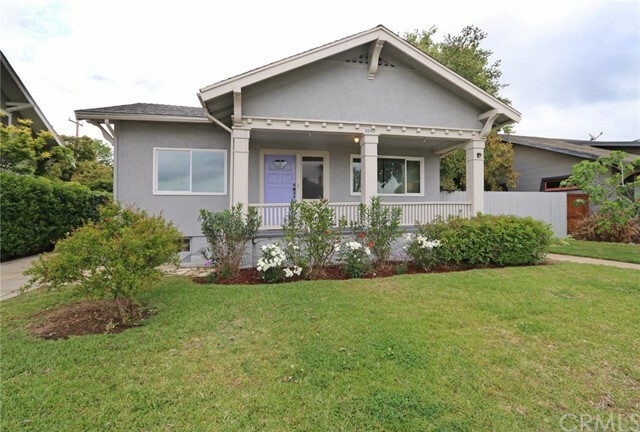 This home is located within the award-winning South Pasadena School District." "PRICE REDUCTION, PRICE REDUCTION. This Craftsman home, formally the residence of the Golden Boy, William Holden. Renovated to the highest standards. Enter past a covered front porch and into a spacious foyer that open up to a masterpiece living room with fireplace and multitude of windows. A grand formal dining room with double French doors lead out to a charming patio overlooking the pool. A gourmet kitchen, equipped with black stainless still appliances and center Island. Three large bedrooms with ample closet space. Two modern bathrooms featuring: for the master a large glass enclosed rain shower, and for the second bath a spa tub. Original hardwood floors, gold leaves light fixtures, A/C. Large front and back yard with drought tolerant landscaping. Don't miss this rare opportunity to reside in an historic house within the stellar school district of South Pasadena." "DRAMATIC 'PRICE ADJUSTMENT! 'This Custom View Contemporary Home is conveniently located near South Pasadena USD schools, shops and transportation. It features 4 bedrooms, 4 bathrooms with 2 rooftop balcony patios and 1 covered patio. As you enter this ''one of a kind'' contemporary home, the ''Great Room'' has an open floor plan that includes the dining area with the gourmet kitchen. All the Viking stainless steel appliances add to the convenient island kitchen with the handsome modern back splash, dark wood cabinets, custom light fixtures, and wood like floors. The living room has a dramatic gas burning fireplace and dry bar with wine refrigerator next to the spacious guest/in-law suite with a beautiful 3/4 bathroom.As you pass the walls of glass, the exterior staircase will take you to the rooftop patio with views. The second floor also has a balcony patio off of the master suite, which has a dramatic fireplace and custom walk-in closet with dark wood cabinets. The spacious master bathroom has both a full bath and a shower along with a double sink and decorative light fixtures. The other 2 bedrooms share a full bathroom next to the laundry closet. The landscape has been tastefully maintained along with the BBQ area in the rear backyard." 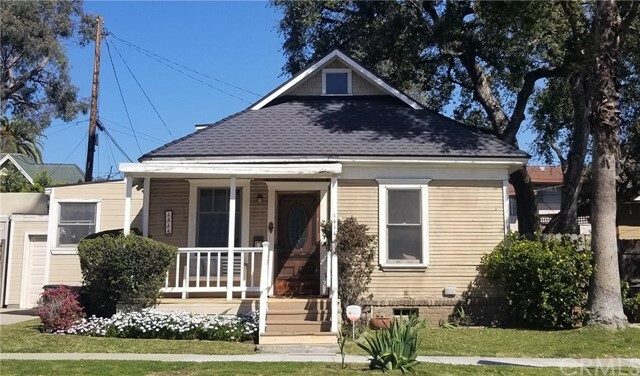 "A welcoming front porch ushers visitors into this 1908 Craftsman located in the Arroyo Vista neighborhood just steps from the library, Mission District shopping and Metro Gold Line. Terrific family home with formal living and dining rooms and large eat-in kitchen. The two bedrooms downstairs share a full bath. Upstairs are two more spacious bedrooms, three quarter bath and an office.The backyard features a sparkling pool, fire pit and patio. 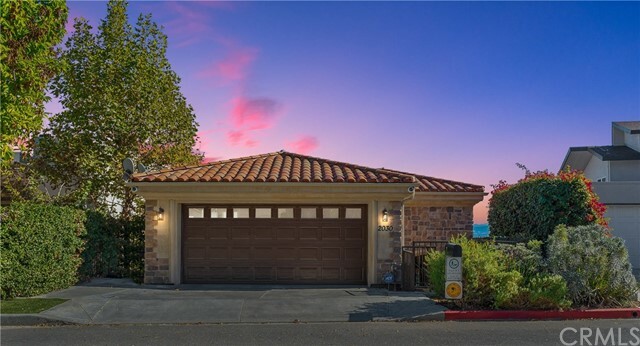 A cool oasis for those warm summer days ahead!Highlights:*Hardwood floors*Fireplace in living room *Central heat and air *Drought tolerant landscaping with automatic drip system*Detached one car garage"
"Three bedrooms plus an office! Move into this spacious, full-of-light single story house and enjoy its great location in a safe and friendly neighborhood with great South Pasadena schools. Several parks, stores and restaurants are within walking distance. Visit the local farmers market on Thursday or simply relax in your large private backyard with wonderful fruit trees. Or stay inside it will be a pleasure to stay in, as all the rooms are spacious with high ceilings. In the back behind the garage you will find two bonus rooms: One you could turn into a home gym, a hobby room, or a playroom just use your imagination! The second could be a workroom. Commuters! You will love how easy it is to get on major freeways and thoroughfares like Huntington Drive and Atlantic Blvd. Laundry room off of the kitchen, excellent floor plan, huge storage area in the garage, and so much more that I'll let you discover for yourself when you come to see this wonderful home. The price is right, the timing is right don't wait, call now!" "First time on market since 1910! This charming home is nestled in the heart of South Pasadena. Two bedroom home with living room flowing to dining room with french doors to the backyard, back patio decking perfect to enjoy your morning cafe or relax at the end of the day. One car detached garage. With a walk score of 97, this home is located in close proximity to Mission District, Fair Oaks dining and shopping, Thursday Farmer's Market, Gold Line, South Pasadena Unified School District award-winning schools. Upgraded in 1997 with copper plumbing, wiring, double pane windows, back patio porch, central AC/heat, kitchen. New roof installed 2018. Original hardwood floors under new carpet." "LOCATED ON TREE LINED STREET. UNIT HAS A VIEW OF TREETOPS IN THE CITY OF SOUTH PASADENA SCHOOL DISTRICT 2 BD, 2 BA, PLUS HUGE ENCLOSED PATIO, PRIVATE LAUNDRY ROOM. THIS BRIGHT AND SPACIOUS 2BD + 2 BA CONDO OFFERS GREAT FLOOR PLAN WITH AN ENCLOSED PATIO AREA TURNED INTO AN ADDITIONAL DEN. REMODELED KITCHEN CABINETS, GRANITE COUNTER TOPS, PLANTATION SHUTTERS, 6 PANEL DOORS, HARDWOOD FLOORS AND CARPET, UPGRADED BATHROOMS & PRIVATE LAUNDRY. NOBODY LIVING ABOVE OR BELOW UNIT, 2 DEEDED PARKING SPACES, 1 PARKING GARAGE WITH PLENTY OF STORAGE ON THE LEFT SIDE OF THE PARKING AND IN THE CABINETS ABOVE THE BACK OF THE PARKING. 1 ASSIGNED CAR PORT. PET SMALLER THAN 20 LBS ALLOWED. ENCLOSED PATIO MIGHT NOT HAVE CITY PERMITS. BUYER TO SATISFY SELF IN REGARDS TO SQUARE FOOTAGE AND CITY PERMITS." "Welcome to your chic new loft in the historic Ostrich Farm Complex of South Pasadena. The property is in excellent condition and is a top floor unit featuring 2 Bedrooms and 1 Bath. Dramatic 15ft+ high ceilings and concrete walls provide a blank canvas for your creativity. Enjoy the exposed brick facade, large panel glass windows, and steel seams as you ponder your next company startup. The home has central air and heat and features in-unit laundry. Two deeded parking spaces are included along with ample guest parking. The well-maintained historic brick building sits on the site of what was once an Ostrich Farm and later converted to industrial buildings. Adapted as lofts in 2006, the building sits within the coveted South Pasadena School District. Enjoy quick access to the Gold Line Light Rail plus all the Shops, Cafes & Trader Joe's nearby on Mission Street. Highland Park and Eagle Rock are just a stone's throw away for trendy dining, shops, and vibrant nightlife options. Appliances included." "Set in a cozy, lush garden courtyard, this updated 2BR 2BA upstairs unit is the best deal in South Pasadena school district. It features excellent floor plan with newly updated kitchen and bathrooms, freshly painted interior & central heat & air. Spacious living room has a fireplace with large windows & hardwood floor. Dining area opens to a covered balcony with laundry hook-ups. This small 14 unit complex is pet-friendly and is located within short proximity to So. Pasadena schools, Farmer's Market every Thursday evening & Historic Mission West District. It is only about 2.5 miles to Old Town Pasadena and 8 miles to Downtown LA. Don't miss the opportunity !!" "Great starter unit for any family looking to get into the South Pasadena School District! Unit comes with two dedicated parking spots in a secure parking garage. Also, includes a stackable washer and dryer. The two bedrooms on the second floor are suites and the new owner will also enjoy the private patio area and the wetbar. The property boasts many new improvements: New Paint, new front door, new brass fixtures & entry door handle, new kitchen tile countertop, new kitchen sink, faucet & garbage disposal, new wood-tile flooring throughout kitchen, living/dining room area, including half bathroom, renovated gas fireplace, new half-bathroom vanity with mirror. 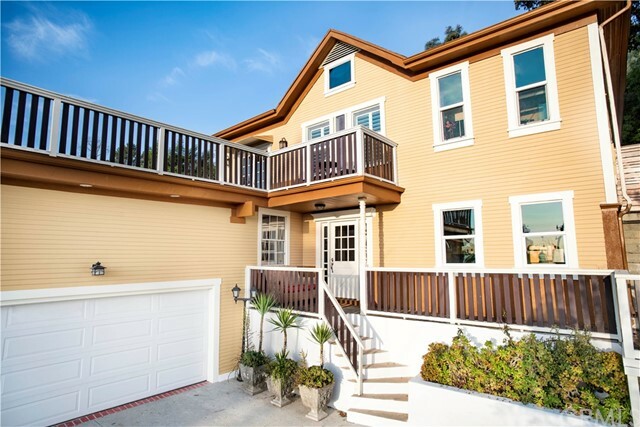 Property is conveniently located on the border of South Pasadena and Highland Park. Easy access to the 110 freeway, Rosebowl, Old Town Pasadena, Downtown South Pasadena and the new hip area of Highland Park." "Location, Location, Location!! Great school district. Welcome to this beautiful, recently remodeled home. Built in 1947 with 1 bedroom/1 full bath. Its Unique floor plan features: new kitchen sink, new cabinets, new appliances, new bathroom, new electrical panel, and new electrical wiring. New recessed lighting and new tile flooring throughout. 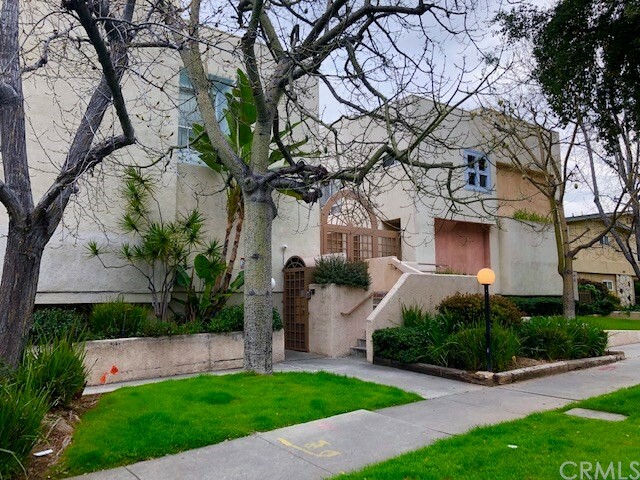 Newly painted interior/exterior and more... Great location, just steps from award-winning Arroyo Elementary, Mission district, Metro Gold Line station, Farmers' market, Library, shops, restaurants, and so much more... Must see to appreciate. Property is Sold as-is present condition. Call or Text Listing Agent for showing. Thank you for your Cooperation."